Do you enjoy visiting tall ships but aren't ready for the open ocean yet? Designed for children from the fourth grade and up, it's an eye-opening day out for kids and adults alike. 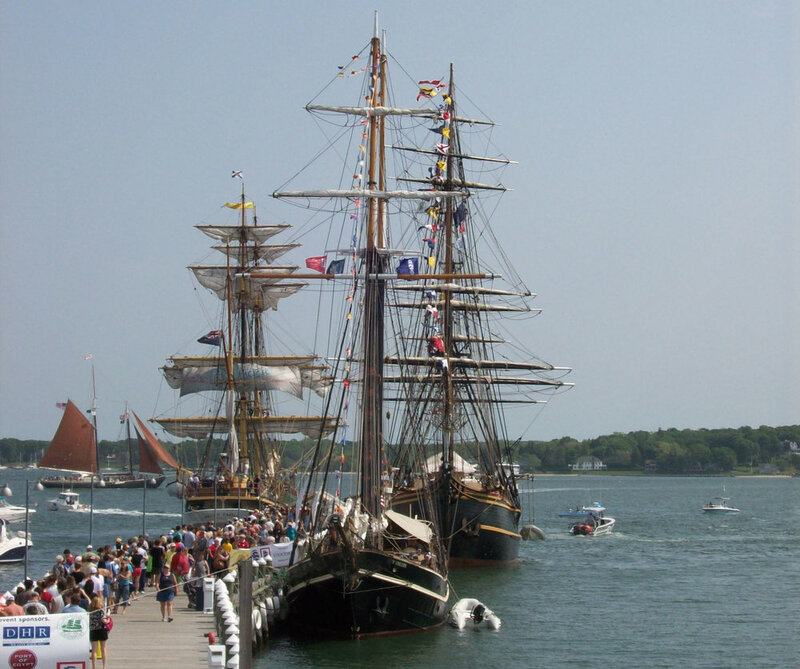 Tall Ships Maine will often work with visiting vessels to provide educational programs to individuals, schools, camps, and organizations - all from the security of the pier! Learn about sail handling, navigation, marine mammals, physics, math and history...and then see how fast you can hoist a sail! Program are 2 to 8 hours and the length depends on the age of the kids and the size and mission of the vessel. When Schooner Lynx comes to Portland, she will focus more on the War of 1812. When El Galeon arrives, she will focus more on the Age of Exploration and early American colonialism. See below for upcoming dockside visits, and email us if you would like to be on our events mailing list. UPCOMING SHIP VISITS will be posted SOON!